There are many little things in life that often we wonder what we would do without; a nice glass of wine after a long day of work, funny memes on the internet, going out into nature for a much needed break, and of course the most obvious- chocolate. 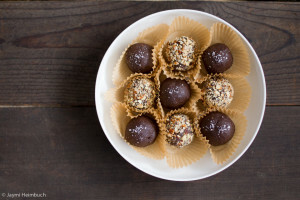 One of the greatest things about chocolate is that one does not have to eat a huge amount in order to feel great as often a bite-size morsel can do the trick. This month we found a great recipe that caters to morsel mouthfuls of the delicious stuff. In a food processor or blender, combine the walnuts and dates and pulse until they are finely chopped and thoroughly combined. Add in the rest of the ingredients except the toppings and pulse until everything is blended together into a smooth dough. It will be moist and sticky but very thick and will hold together well. On a flat surface, spread out your desired toppings. Prepare a plate with parchment paper or cupcake liners for the finished balls. Using a tablespoon, spoon out about a golf-ball sized amount of dough into your hand and roll it into a ball shape. Roll the ball in the toppings, and set it on the prepared plate or in a cupcake liner. Repeat until all the dough is used up. The batch should make about 20 bites. Place the finished brownie bites in the fridge until they’re ready to be enjoyed. 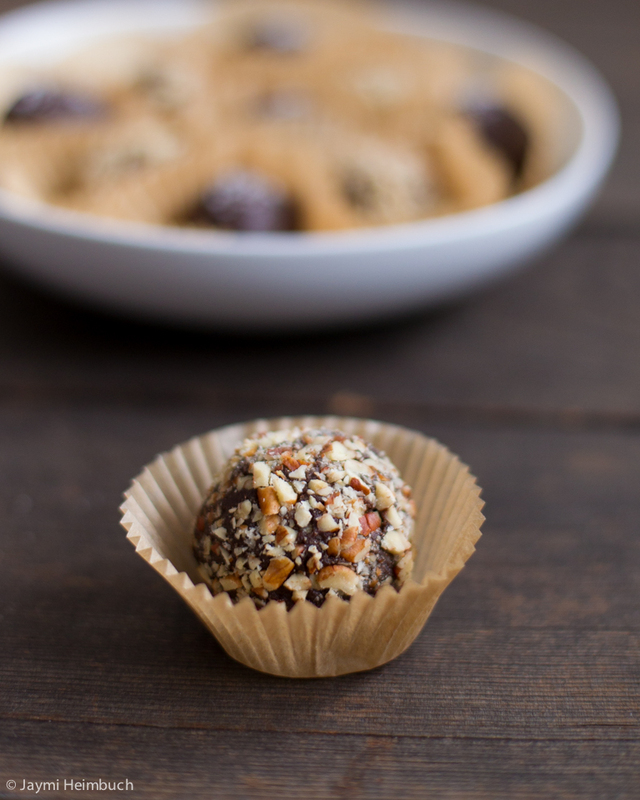 This gives the coconut oil a chance to firm up and make the bites the consistency of a fudgey truffle. These will last three to five days in the fridge and three to four weeks in the freezer … if you don’t eat them all before then!